The Dreamcast was Sega's final effort as a contender in the video game console market. Though it was released to much applause with a strong library of games, it was quickly overshadowed by the success of the PlayStation 2 and was limited by both severe piracy problems (thanks to its proprietary GD-ROM discs being its only form of copy protection, which bit Sega royally in the rear when hackers discovered the console's support for multimedia CDs) and the string of failed hardware preceding its release. If it's any consolation, the Dreamcast's extreme vulnerability to piracy did end up giving birth to one of the most vibrant homebrew communities to date. Present at 0x7B0 in the BIOS. Present at 0x9EA4 in the BIOS. Present at 0xEB40 in the BIOS. Present at 0x10010 in the BIOS. Present at 0xECA96 in the BIOS. Present at 0x1A0090 in the BIOS. Having the game Puyo Puyo Fever saved to your Visual Memory Unit will allow you to access a hidden menu in the Dreamcast BIOS. Pressing Start on the controller will bring up an alternate 3D menu that you can move around. Present at 0x1A1A0 in the flash ROM is a list of names. 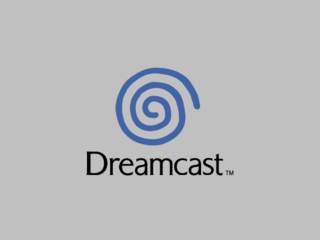 In Europe, the Dreamcast logo was changed from red to blue in order to prevent legal problems with German publisher Tivola, as their logo is a red swirl. This page was last modified on 15 July 2017, at 19:07.